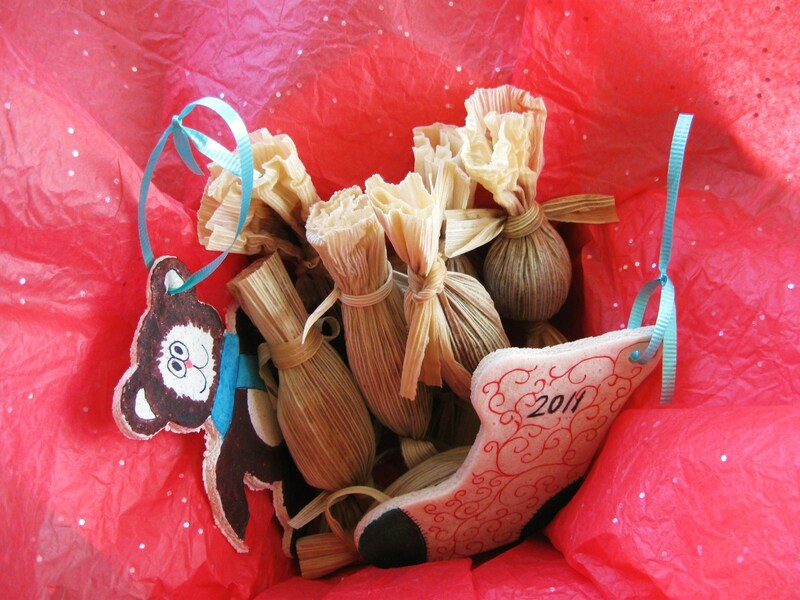 As part of reviving the holiday traditions that have defined our families and communities for years, LatinoFoodie set out to make tamales this season with a sweet twist. Earlier in the month, we gathered with our primas and primos for a family tamale making party. There’s nothing better than several generations coming together sharing stories of times past and laughing at our crazy lives today. 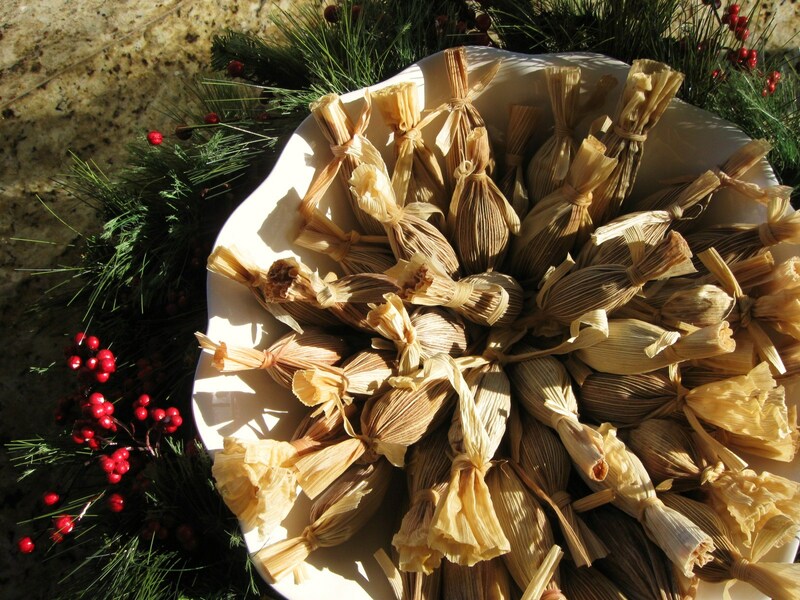 Anyone who has made massive amounts of tamales knows that there is a process. I called it Tamale Boot camp. Everyone had their assignments and worked diligently to keep the hojas moving. In total, I think we made close to 50 dozen savory red and green chili pork and beef tamales. But, people are finicky when it comes to sweet tamales. Some people like them, others don’t. These chocolate tamales piqued our interest because of the use of Mexican chocolate and the idea of kicking it up with some heat. Your young children, or Tweens, will love to get their hands nice and gooey with the chocolate masa. It’s a fun way to pull your kids away from the video games or television and share some holiday cheer. 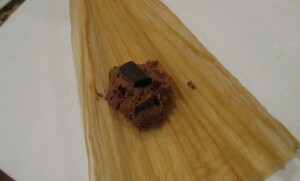 We went with about a heaping tablespoon of chocolate masa per tamal. This allowed us to make 50 small dessert sized tamales. The larger your tamale the longer you’ll be steaming. 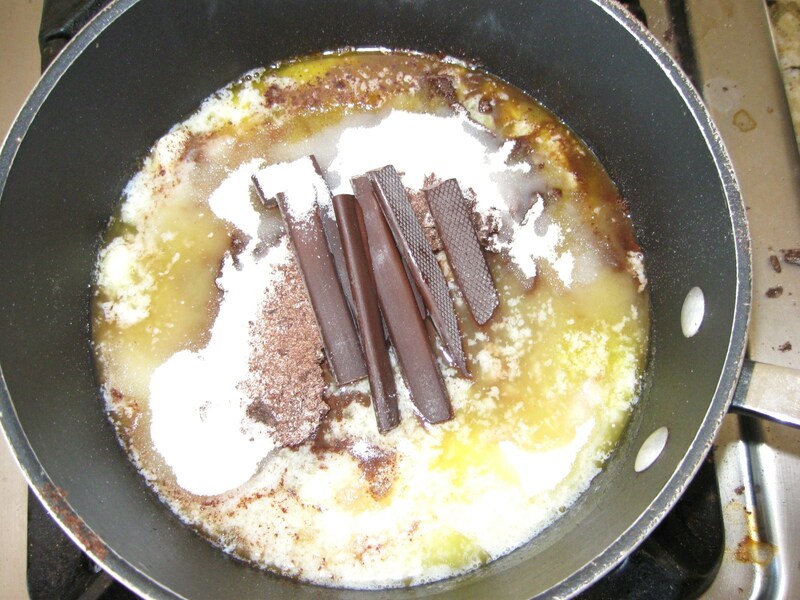 Place the chocolate in a medium sauce pot over medium-low heat, then add the softened butter, sugar, baking powder, cayenne pepper, and salt. We also added a few chocolate batons to the mix, but you can add some semi sweet chocolate chips. Using a whisk/ spatula, mix the ingredients together. (Please note that you are not cooking it. 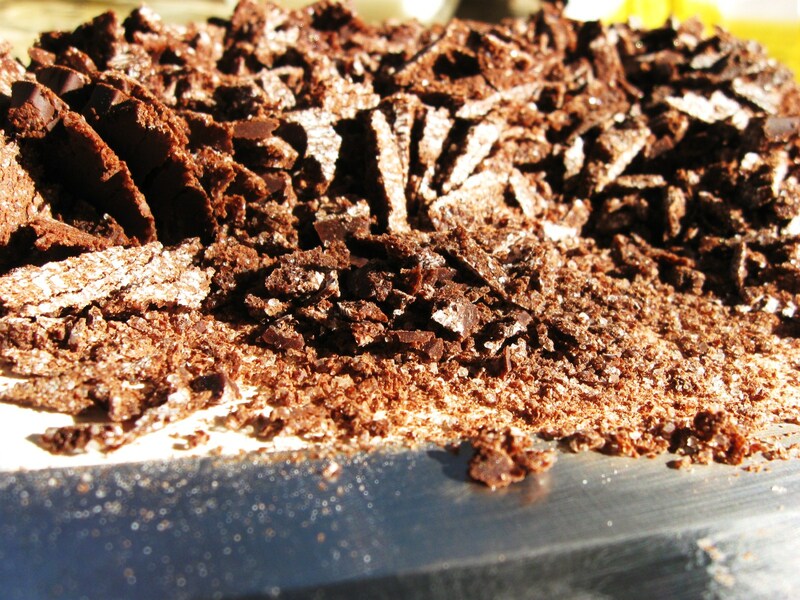 You merely want to melt the chocolate so that your tamales are not grainy. This process should take a few minutes.) Once combined, take it off the heat. With a little tissue paper and some ribbon, these chocolaty packages make great gifts for the holidays.